I'm interested in more information about Control4. 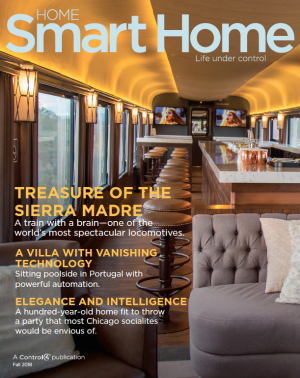 In the Fall 2018 issue of Home Smart Home, we’ll not only break down the evolution of the cell phone since the introduction of the Motorola DynaTAC, we’ll also showcase instances where technology in general has evolved so significantly, that it has allowed the most interesting of worlds to collide. From a wine brand that has tapped into augmented reality, to a major locomotive that is automated to the hilt, join us for an issue that’s straight off the rails.